As more consumers become concerned about the safety of on-line credit card transactions it is not just the Internet merchants who are taking extra steps to ensure consumer credit card safety but credit card issuers as well. For those who hold MasterCard credit cards the MasterCard SecureCode service is one such innovation. What Is MasterCard Secure Code? MasterCard SecureCode is a relatively new service that adds an extra layer of security to many on-line credit card transactions by assigning a special code to your new or existing MasterCard that must be entered when paying for goods at participating merchant sites before the transaction and purchase can be successfully completed. This means that even if an unscrupulous person has managed to get hold of your credit card number and expiration date they will still not be able to make fraudulent purchases online at theses merchants using that information. How Do You Activate the MasterCard SecureCode Service? 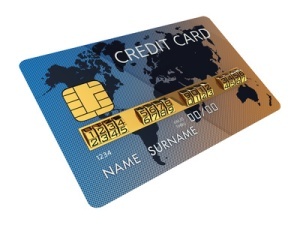 When a new MasterCard is issued these days the option to enroll in the MasterCard SecureCode service is usually offered as a part of the new card activation process. Existing MasterCard holders can also sign up for service at any time though and add it to all of the MasterCards they hold – both debit and credit cards. All you need to do is hit the Internet and head to mastercard.us/securecode.html. From there you will be securely transferred to your particular card issuer’s website after entering your credit card details and you will be prompted to select your own special pass code. From this point on when you use your MasterCard at participating on-line vendors you will have to enter this code correctly in order to complete your purchase. If you do decide that you no longer wish to have this extra protection attached to your card you can deactivate it at any time by visiting the same site and confirming your request to do so by email. What Is the MasterCard SecureCode Personal Greeting? In addition to choosing a pass code when you create your new MasterCard SecureCode account you will also be asked to create a “personal greeting”. This personal greeting will then be displayed just before you enter your pass code at a participating merchant. This is designed to provide you with extra peace of mind that you are actually communicating with your financial institution only, as that message is only known to you and them and not to the on-line merchant themselves. If the Personal Greeting displayed in this pop-up box is not correct, you should not proceed to enter your SecureCode, but should instead terminate the order right away and contact your credit card issuers customer service immediately by calling the phone number on the back of your enrolled MasterCard card as this may be an indication of possible on-line credit card fraud. Therefore it is important that you know exactly what your personal greeting is at all times as well as your pass code so that you can be sure that the message you see is indeed the one you chose when you signed up for the MasterCard SecureCode service. What If a Merchant Does Not Participate with SecureCode? The MasterCard SecureCode service is an opt in program for online merchants and not all the sites you shop at will be participating members of the program. This does not however affect your ability to use your MasterCard as a form of payment at their site and you will still be afforded all the other “zero liability” benefits that are automatically attached to all MasterCards. Like all security precautions the MasterCard SecureCode service has its critics and has had a few hiccups of its own. Some consumers abandon using the service when they become annoyed by the extra time it adds to the average checkout process as well as the need to remember yet another password. Given that a number of the largest on-line merchants do not participate in the service at all some card holders feel that the protection is minimal. The MasterCard SecureCode service has also been a target for phishing scammers in the past as well. The most successful was an email scam that was essentially a message sent out that purported to be from MasterCard itself, encouraging users to sign up for the card network’s SecureCode protection program and offering a 16% discount on future purchases made with the card. Clicking on the link in the email then took cardholders to a fake MasterCard site that essentially stripped them of all their credit card information within minutes. It should be noted however that all major financial companies have fallen victim to these lids of phishing emails and sadly it is up to the consumer to be vigilant about clicking on any links in an email, even if it seems to be from a very trusted source. Always check the email address that the message came from as well as the Internet address any links lead to. In order to be totally safe though simply get into the habit of not entering any credit card information after following an email link at all.